Every now and then, a shocking event changes the way a nation thinks about its politics. The January 5 shoot-out at Tien Lang. in which officials tried to evict a farm family on a spurious charge that their lease had lapsed, may be a game-changer for Vietnam. Journalistic hyperbole could be at work here. Still, government decisions announced on February 10 lend credence to the notion that a paradigm shift has occurred. It has been five weeks since Doan Van Vuon’s family fought back with muskets and a homemade mine against the police and soldiers that came to evict them from their 20 hectare fish farm (see part 2 of this series for details). Quoting villagers who did not hesitate to speak up, reporters who swarmed to the scene in the days after the event quickly demolished the local officials’ account of the incident. Land law experts declared that the officials had no legal basis to revoke Vuon’s lease or deny him compensation. Retired generals decried the use of soldiers to enforce the eviction order; retired judges faulted a district court’s rejection of Vuon’s appeal. Higher government levels – the Hai Phong City administration and the central authorities in Hanoi – were slow to react. The city officials seemed distinctly out of touch with the events in Tien Lang and mainly intent on deflecting blame. Meanwhile, investigative teams sent by central government ministries and institutions brought back alarming reports. On January 16, just a few days before the week-long lunar New Year holiday, Prime Minister Nguyen Tan Dung ordered the People’s Committee of Hai Phong City to investigate fully and report. Writers remarked on the government’s restraint. Some saw special significance in the absence of ‘official guidance’ to the media, an indicator that the central authorities wanted the Tien Lang incident thoroughly ventilated. Several wondered if the central government was taking a lesson from China’s peaceful resolution of a lengthy confrontation between villagers and police at Wukan just weeks earlier. The most interesting speculation posits a fundamental shift in the regime’s awareness of rice-roots frustration with corrupt and high-handed local officials. Retrospective significance has been attached to calls by Party General Secretary Nguyen Phu Trong and Prime Minister Dung toward the end of 2011 for a general revamping of the Party’s lower ranks. Said one writer: “It’s clear that there’s been a change in perception, in re-examining the trust of the people in the Party and government.” These analysts seem to conclude that Vietnam’s leaders can and may indeed leverage revulsion over the Tien Lang incident to weed out despots at the village and district level. Thus it was that Chief Cabinet Secretary Vu Duc Dam had a thoroughly attentive audience when he briefed reporters on the conclusions ratified when, on February 10, the prime minister convened a top level meeting on the Tien Lang incident. Dam said that participants in the three hour meeting had agreed that the core problem was the weakness of district and village leaders in dealing with land matters. These officials had made incorrect decisions both when they granted Vuon his lease and when they decided to repossess the tract. They erred further in using force and in choosing to move on Vuon just before the new year holiday. The local officials were criminally culpable of bulldozing three homes on Vuon’s property and allowing the theft of the fish and shrimp grown in Vuon’s ponds. Further, said Dam, the Hai Phong City administration failed to investigate promptly, assess responsibility for mistakes or provide timely and accurate information to the press and public. Not until their most recent report had the Hai Phong authorities shown proper appreciation of the seriousness and complexity of the incident. Dam said the prime minister had instructed the Hai Phong authorities to get busy making Farmer Vuon whole again. They were to see to it that legal and judicial irregularities in Vuon’s case were repaired, so that Vuon could continue to use the land leased to him. 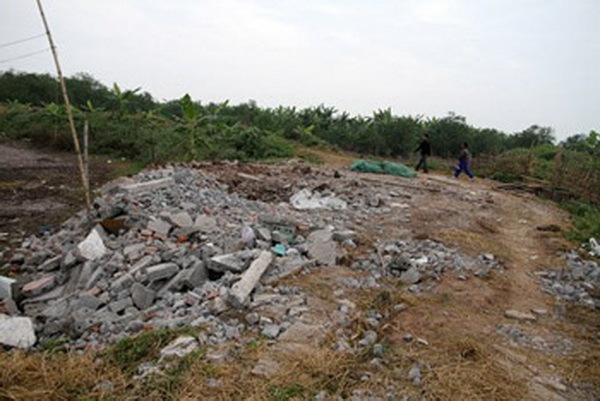 The Hai Phong authorities were in addition to initiate criminal proceedings against the local officials who arranged for the destruction of the three houses on Vuon’s property. They were to consider mitigating circumstances when revisiting the charges lodged against Vuon – that he attempted to kill people who were carrying out public duties. Finally, the Hai Phong authorities were instructed to clarify who of their number had authorized Tien Lang officials to pursue their vendetta against Vuon, and to explain why they had been so slow after the incident to identify the culpable parties or to inform the central government authorities of their findings. Dam added that in addition to the failures at the local and municipal level, the prime minister and his colleagues recognized fundamental problems in Vietnam’s much-amended Land Law. The statute, he said, is convoluted, internally contradictory and out of step with recent developments, a daunting challenge for ill-trained local cadre to administer. For these reasons, Dam said, the politburo and the government resolved to make a thorough revision of the Land Law. Related to this, he added, was the matter of amendments to Vietnam’s constitution. By and large, that’s what the Vietnamese public wanted to hear. It’s rare that the regime acknowledges a systemic problem, but, de facto, that’s what it’s done. Whether it now can fix the land tenure regime so that it’s transparent and straightforward, proof against local officials’ fiddling it for their own advantage – that’s another matter entirely. By past form, Hanoi might have been expected to respond differently to the Tien Lang incident. This is, after all, an authoritarian regime that is said to be dominated by conservatives. Its internal decision-making processes are shrouded in secrecy. Over the years – for example, when in 1997 tens of thousands of impoverished farmers seized village offices and marched on district towns in Thai Binh province – it has not hesitated put down rural protest by force. As some commentators have suggested, it may be that Trong, Dung and their colleagues at the top have been rethinking what it will take to retain popular acquiescence to Communist Party leadership. The regime’s management of the issues raised by farmer Vuon’s desperate defiance of local bullies seems to reflect serious effort to read public opinion and respond to it. Trong, installed as party chief a year ago, has called curbing the excesses of the party’s local representatives a life or death issue for the regime. The politburo is well aware of what ordinary Vietnamese want: social stability and an orderly evolution toward a freer, fairer, more transparent and inclusive system of government. What’s not at all clear is if it can deliver such a result.